Nice sunday to be on the water. We fished the island with senkos and lipless cranks with no luck. 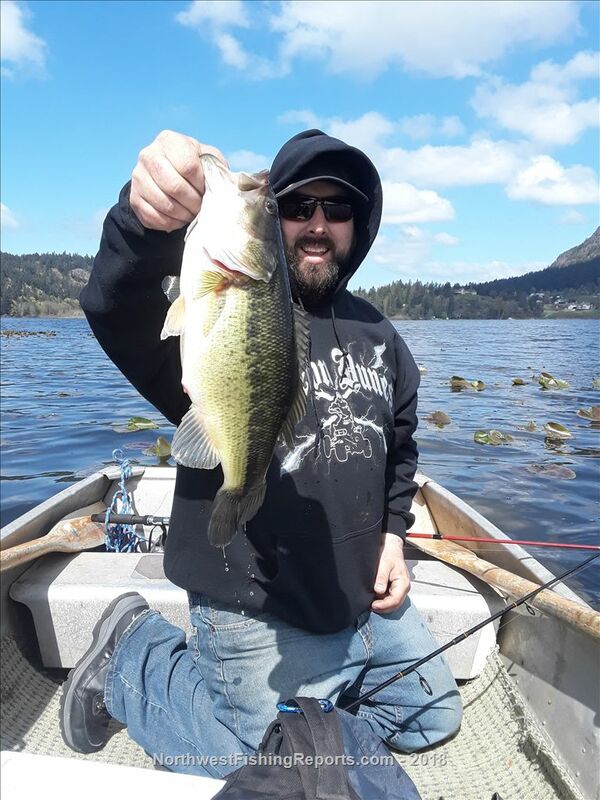 Moved to the south shore and worked the pads and thats were the first bass of the year came on a 4 inch senko. After another hour on the south side with no love we tryed the pads by the launch on the way out and the lady hooked a giant trout on the senko then wrapped it in the anchor rope while i fumbled with the net. We lost the trout and almost got skunked on bass but a great early spring day. View other reports from MikeyBlaze.